1 and 3 AM on the morning of September 15th, 2012. Between the hours of 1 and 3 am, the Moondancer Originals Witches will be at your service. We have previously, successfully, had a few intention casting new moon evenings offered here on eBay and now, on our other sites and stores as well. We have been busy working with other clients and spirits lately and have not done one for a while, but we decided today to offer on for the new, upcoming new moon in September. 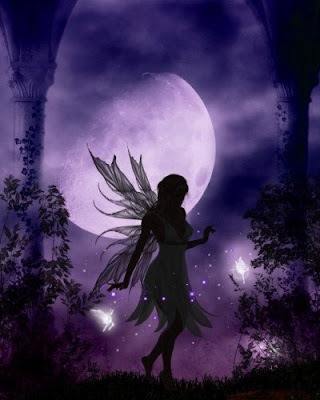 This is your chance to "Buy Your Place Now" to have your desires represented on the next new moon, September 15th, 2012, to the Universe by highly experienced, high powered witches, all working together to send vibrations and ask for your wishes to be granted, to the Universe. People often miss the importance of the new moon, as the full moon is so popular....but the importance of it's meaning and purpose in our lives must not be forgotten. The New Moon is the most probable day for finding new success. The New Moon works much in the same way as the laws of attraction. Success is much more easily attracted on such a day then any other time per month. The moon is very powerful and has always been a very important part of rituals and spell casting within the metaphysical community. The New Moon has a lot of power associated with granting and helping us attract our desires. For years we have been spell casting on the new moon, but it has just occurred to us that we could also help you by using our powers to spell cast your desires to the Universe! WHY NOT! We will continue to run this Buy It Now available to all of our Clients, so that you may let us help you and represent you to the Universe on September 15th, 2012. Nothing is a coincidence. If you think that this will help you....you know what to do. We will never tell you what to do. We will have to limit to no more than 5 top desires - so please keep that in mind. The spell work we perform can be very complex depending on what your desire is, and it takes us a lot of prep time to make sure that we have everything we need and to communicate with you enough beforehand that we have a clear understanding of who you are as a person so that we can represent you properly. Potions and Haunted Items will no longer be allowed on eBay! We will still be on eBay with our store, but we will only be able to offer a small number of our items! However, we will continue to serve our clients elsewhere with a much larger selection! After August 30th, please look for us in one of these great new places!